When it comes to gambling no company were quicker to adapt to online gambling than Intertops, who can proudly lay claim to having taken the first ever online bet. This is a company that hasn’t rested on its laurels and still remains at the top of the industry, their sportsbook paying out over $500 million in the last 3 years. 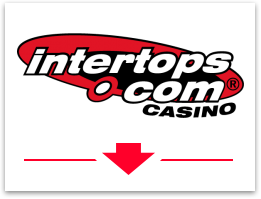 Intertops have adapted over the years and now offer a poker site, as well as two separate online casinos. In this review I start by detailing both of the two casino sites, explaining the range of games available at each. I then look at the bonuses and promotions you’ll be able to enjoy as a member, before detailing the banking options. I finish with a summary of the casino offerings. The Intertops casino uses the range of games developed by RealTime Gaming, which means that the casino can be used by US players as well as worldwide. You’ll be able to access the games instantly by playing on the flash version of the site in the browser, as well as a download version. The download version has a larger range of games, however many of the most popular games are available in the flash version. Perhaps the most impressive section of this casino belongs to the slots. You’ll find a wide range of both 3 and 5 reel slots and these include some of the more popular slots online including Cleopatra’s Gold, Crazy Vegas and T-Rex. You’ll also be able to two different versions of Roulette and multiple Blackjack variations. Fans of video poker are well looked after with 14 separate variations of the game and all of these can be played with multi hands. This is a second casino offered by Intertops which is completely separate from their standard casino. 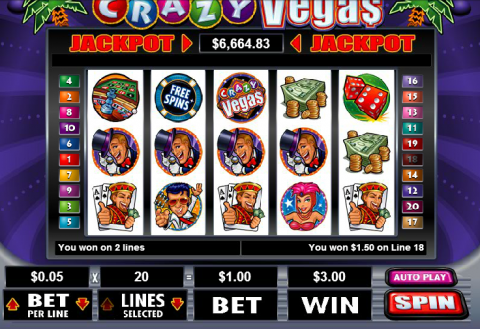 This casino is powered by WGS and once again offers both a download and a flash version, the download version being more advisable with this casino. You’ll find a good range of games here, including slots once again, although it would be fair to say that some of the games look simplistic in comparison to some of the great video slots you find online today. You’ll also be able to enjoy a good range of table games including Blackjack, Roulette, Baccarat and many others as well as classic video poker varieties. An area where this casino specializes is in tournament play – with tournaments offered on a daily, weekly and monthly basis. At both the standard casino and the classic casino you’ll be able to take advantage of a 100% deposit bonus up to $100. These bonuses have a minimum deposit amount of just $20 and both have a play through requirement of 30x. 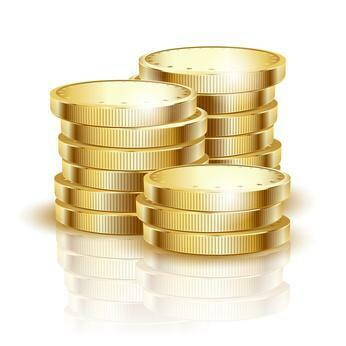 At the standard casino you can also grab some more bonus money with successive deposits. Between your 2nd and 5th deposits you can an additional $500, every time you clear one bonus, you’ll receive another. You’ll also find leaderboards here with an opportunity of grabbing a share of $30,000 every Monday with the ‘Love is in the Air’ promotion. Every time you play at this casino you’ll be entered into the ‘Wheel of Fortune’ draw where20 players at the site will win an immediate $50. The casino has a comp points plan – wager $10 and earn a point, gain 100 points and turn it into a dollar. The classic casino also has a comp points plan where you’ll earn points as you play which you can later turn into cash – wagering $100 at the slots for example will gain you 160 points and earn 1,000 points for every dollar. You’ll also find regular bonus offers where play at the casino will give you free tickets into a number of tournaments. There are many deposit options available at Intertops. Firstly there are MasterCard, Visa and American Express credit cards. These credit card deposits offer the quickest and easiest deposit methods for users from the US. International users can make deposits from a number of E-wallet companies, such as Neteller, Skrill and UKash. Other options include a bank wire transfer and an EU standard transfer. Withdrawals will generally be made back to the same method you used to deposit with. It’s somewhat unusual for a site to offer two separate casinos, but for customers it can only be a good thing, as you’ll be able to choose which one suits you best. Overall I’d recommend the standard casino of the two. If you are a fan of organized casino tournaments, the Classic casino might be the way to go. Whichever site you decide to use, you know that Intertops, with their longtime good standing within the industry, are a site you can trust. Check out the unique WMS / RTG dual casino combo for yourself now at www.intertops.eu.